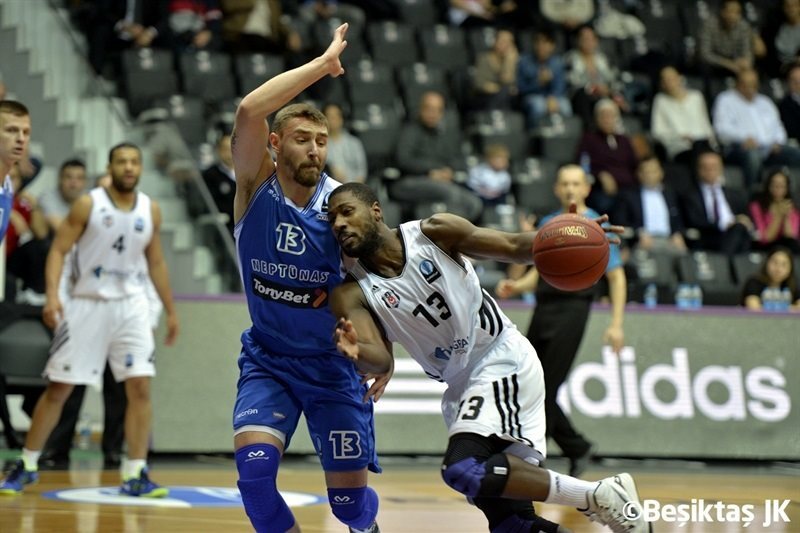 Besiktas Integral Forex Istanbul rallied from a 21-point second-quarter deficit to beat Neptunas Klaipeda 80-78 on Wednesday. 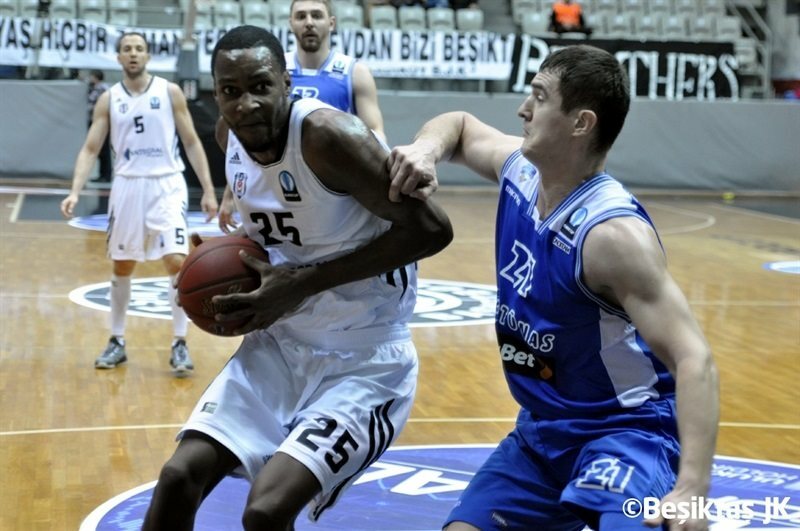 The victory put Besiktas in second place in Last 32 Group M with a 2-2 record, while Neptunas dropped to 1-3. Down 13 at halftime, the hosts took charge in the second half at both ends. 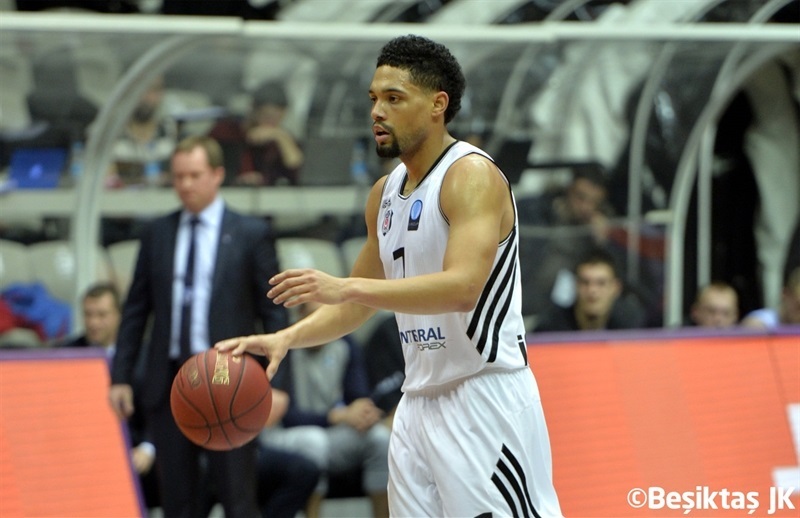 Besiktas did not take its first lead of the game until the final minute and even then needed Chris Lofton’s late go-ahead triple to claim the victory. JaJuan Johnson paced the Besiktas attack with 18 points, Ryan Broekhoff scored 17 on 5-of-9 three-point shooting, Chris Lofton netted 15 and Scottie Reynolds marked his debut with the team with 11 points and 5 assists. Donatas Zavackas led Neptunas with 14 points on 4-of-6 three-point shooting, but missed a shot at the buzzer that would have won it. Mustafa Shakur added 13 points, Keith Benson scored 11 and Simas Galdikas had 10 in defeat. Galdikas scored twice as Neptunas opened the game with 6 straight points. Johnson scored Besiktas’s first points before Zavackas connected from downtown to make it 2-9. Martunas Mazeika’s steal and layup gave the visitors their first double-digit lead, 4-15. Johnson’s basket and foul followed by Broekhoff drew Besiktas within 6, but a second Zavackas triple soon had Neptunas cruising at 9-20. A pair of baskets from Shakur and two more from Benson left the visitors up 15-30 after 10 minutes. Lofton and Mindaugas Girdziunas traded threes early in the second quarter. Zavackas’s third triple put the visitors up 20-41. Reynolds and Broekhoff connected from deep the awaken Besiktas. 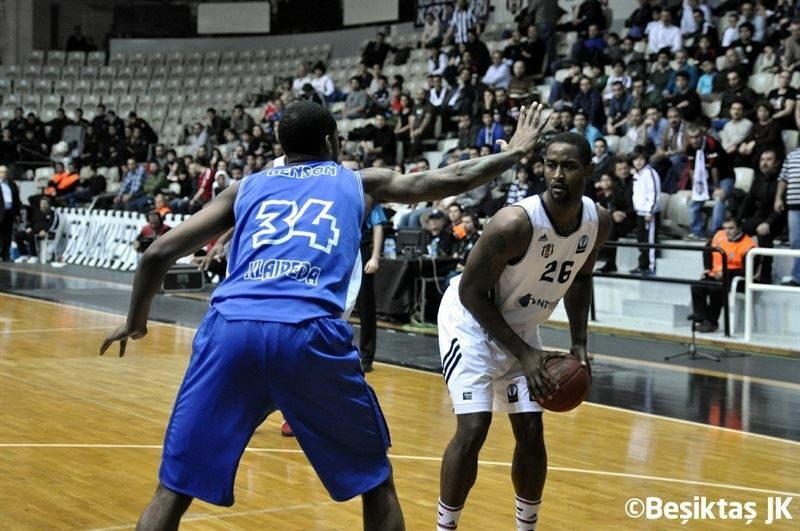 Johnson also made a three before Reynolds brought Besiktas within 37-50 at the break. Besiktas came out for the second half looking determined, though a three from Shakur and later 2 free throws kept Neptunas comfortably ahead, 46-55. Another Zavackas three restored a double-digit lead for the visitors, but Lofton and Broekhoff each hit from behind the arc in the final minute of the third quarter to bring Besiktas within 59-63. Girdziunas hit from deep for Neptunas, but Broekhoff’s fifth triple made it 64-68. Arnas Butkevicius and John Holland also traded threes to make it 69-73 midway through the fourth quarter. Lofton’s layup made it a one-possession game, however Deividas Gailius kept Neptunas in front entering the final minute. Holland put the hosts ahead for the first time, 77-76 with 35 seconds remaining, however Shakur made 2 free throws for a Neptunas lead 10 seconds later. 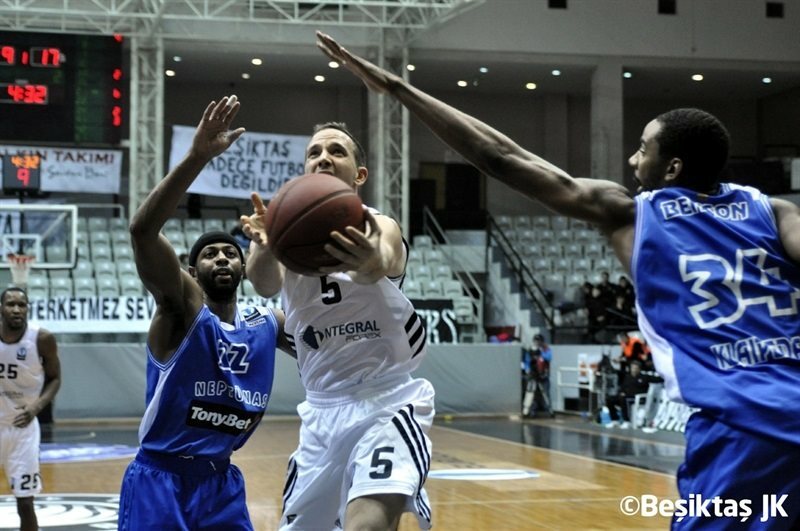 Lofton sank the game-winning three, but left enough time for a final shot from Neptunas, which Zavackas missed.